I met with Darren of Dude and Annette recently in a Project Management capacity, as my practice are acting as Conservation Architects and Project Managers for the renovation of a number of historic Grade 2* listed building on the Isfield Place Estate, East Sussex. 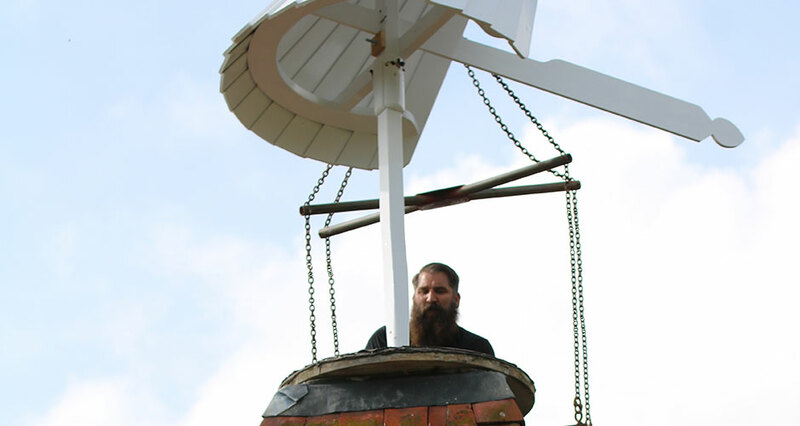 We needed to renovate 2 no Oast Cowls which were not only in a poor state of repair but access to them was difficult, if, damage to the existing roof was to be avoided. Within a week of contacting Dude and Arnnette, they had visited the site, made an assessment and forwarded costs and a programme for renovation. Their estimate was competitive and programme realistic. Once the order was in place, they turned up as agreed, lifted off the Cowls smoothly and expertly. The Cowls were returned good as new and put in place on programme. It was great to meet craftsmen that knew everything there was to know about their job and more. Interesting, informative, enthusiastic and professional. A great pleasure indeed.